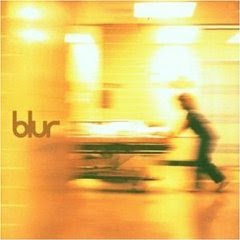 Blur move away from Brtipop in what is a really great album. They start it off by putting two tracks clearly made for single greatness, Beetlebum and Song 2, after that they explore all kinds of progressive rock music, with psychedelia looming large through it, but with elements of country and every other thing you can think of in it. The songs from number 3 onward are not as accessible as the first two, but don't let that put you off, those are the tracks that most reward repeated listenings in order to tease out all their great complexities. It is at this point that the Blur/Oasis competition stop making any sense, Oasis are finished by now, re-hashing the same formula, and Blur completely reinvent themselves with one of the best albums they ever made. Blur and Damon Albarn particularly would continue with widely successful reinventions up until today. Hats off. The album's style was resultant of Blur's dropping their previous Britpop mantle in favour of lo-fi and alternative rock recordings, reportedly at Graham Coxon's urging. As a result, Blur was a hit primarily because it proved that Blur could evolve beyond their Britpop roots, in contrast to other formerly Britpop bands such as Oasis, who critically disappointed with their 1997 release Be Here Now . The album's move from Britpop was emphasised by this being the first Blur album not to use Stylorouge cover-art and also not to have lyrics and chords printed in the liner notes, instead having a composite photo of the band in the studio spread out over three panels. The album featured the first song in which Graham Coxon not only wrote the lyrics, but also provided lead vocals, for the song "You're So Great". He would later do the same for Coffee & TV for Blur's next album. now that we've reached 1997 are we going to hear homogenic? I've been looking for an excuse to pull that album out. Anon: Unfortunately, No. It is my favourite Bjork album and it is not on the list. Blame them!